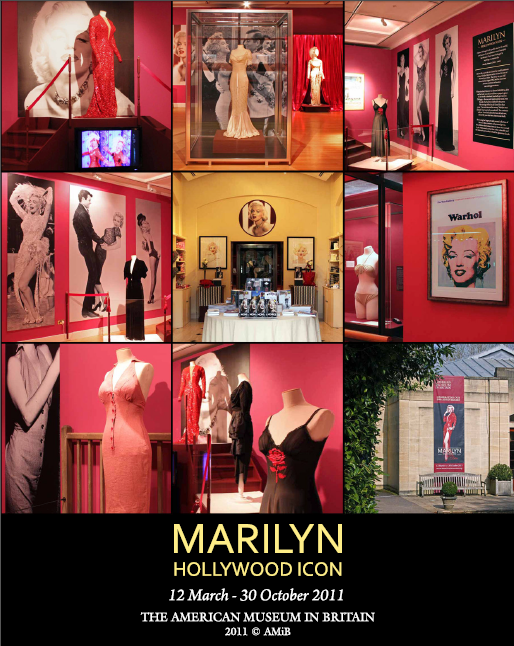 This week we made the 400-mile round trip to Bath to see the Marilyn Monroe exhibition at The American Museum in Britain, and it was fantastic. 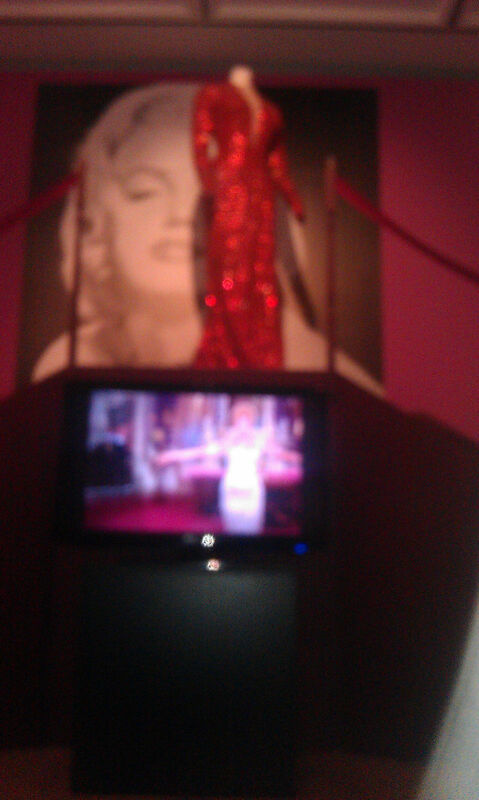 There were amazing costumes from her films, the highlights for me being the Red sequinned gown from 'Gentlemen Prefer Blondes', the highly embellished pink and white show costume from 'There's No Business Like Show Business' and the risqué sheer black beaded dress she wears whilst singing on the piano in 'Some Like it Hot'. There were also original film posters, clothing and jewellery from her private collection, and personal effects from her childhood and film career, most of which were very interesting but some of which were a little upsetting, such as her prescription pill bottles. Photography was not allowed in the exhibition, so Paul tried to sneak a picture for me on his phone, but as you can see the focus did not work at all! Considering we took some great pictures on the day with the same camera, it's a shame this one didn't come out. 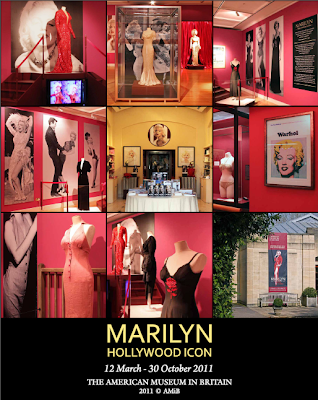 I would highly recommend a visit to this exhibition for any Marilyn fan. 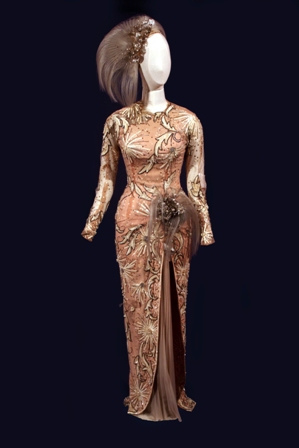 It runs until the 30th October, after which all the items will return to Jersey where they reside in a private collection. I loved seeing the costumes in person, examining the details of their construction and getting to see a glimpse of Marilyn's personal life. The rest of the American Museum is well worth a look too, with exhibits on early US folk art, Native American artefacts and beautifully recreated period rooms from various eras of American history. Native American beaded waistcoat, showing clear influence of French and British design style. The display of traditional patchwork quilts was lovely, many of them came with stories attached such as the rather sad one above. This was my favourite quilt of all the designs, the fans were made from such luxurious fabrics - a contrast from some of the cotton designs or Amish quilts in the museum's collection. wow, what a lovely day. I am planning to go on Thursday this week, I can't wait. Score! Glad you got to see that!! 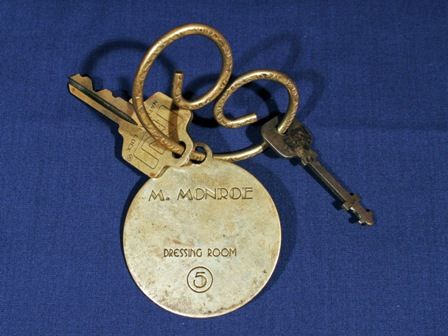 My favorite MM films would be...'Don't Bother to Knock' and 'Niagra' so far...I haven't seen them all, of course! Lucky you! Sounds like a fun trip. Kalandra Jane Designs on Alt Fashion! The negligent blogger's Autumn colour picks.